Nowadays social media has become an important part of every walk of our life. Twitter, Facebook, Instagram and many other blogs are considered undeniably as another critical world in the modern society. Thus, these accounts of Facebook, Instagram, Twitter, etc.... are the target of many hackers, especially to hack Facebook account, Instagram, Twitter of Celebrities. Many unknown authorities and organizations, even just ordinary citizens also wish to hire legit hacker to get Facebook password account, the same happens to other social media accounts such as Instagram or Twitter. These people, organization would like to hire a hacker to get Facebook password for numerous reasons. For authorities and organizations purposes, they might need to stop other opinions which are against their party, or these Facebook, instagram, twitter account spread the harmful information to the society such as selling unhealthy products, promoting the banned services. 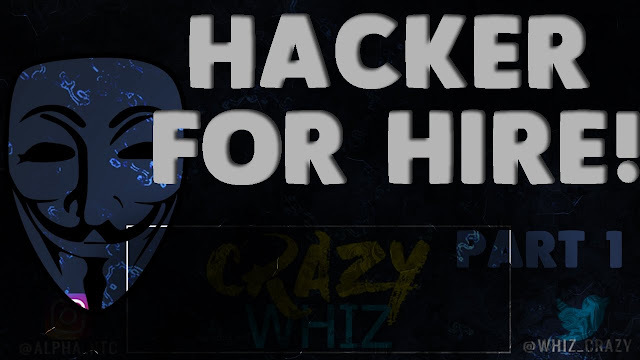 Regarding motivation of hiring legit hacker to get facebook password accounts of ordinary people, most of them wish to spy their beloved ones such as girlfriends, boyfriends, mother, father, son, daughter, wife, husband, etc...They normally have a doubt that the person they love is having affairs. Many of them have a desire to log in into the others accounts to see what is happening and find out the truth. Meanwhile, others just curious what is the inside of these accounts they want to get hacked by legit hackers.